Happy Anniversary, Yorba Linda Campus! 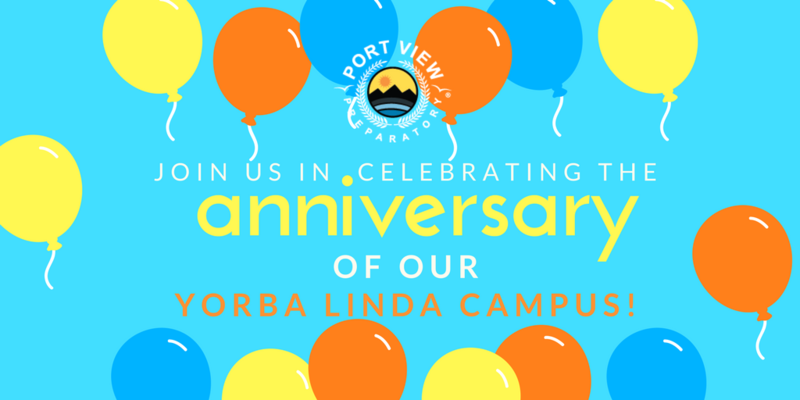 On March 4th, Port View Preparatory celebrates the anniversary of our Yorba Linda campus! We are so thankful to the amazing staff and families who help this campus thrive.